Link building, in a very general sense, is dead and has been since the rollout of Google’s Panda and Penguin algorithms. This doesn’t mean inbound links are no longer valuable – it just means you need to build them naturally. Rather than using questionable link building schemes, you should crank up your content marketing efforts to create value-added, share-worthy content that websites will organically link to. Using social media to amplify that content and reach larger audiences will not only reach larger, relevant audiences that will link to your content, but it will also build social signals back to your site, which increases it’s value to search engines. There are hundreds of link building tactics out there that worked at one point or another, but most of them will end up hurting your SEO performance. Those “pay $100 for 1,000 links in a week to get on the first page of Google” services are the biggest SEO scam out there, and will yield the exact opposite results they claim. Stay away from shady link building services, and also be sure to question the tactics an SEO agency uses before buying into their services. Search engines have been making a shift towards placing higher value on sites with high quality, relevant content rather than inbound links. The primary goal of search engines is to deliver high quality content to users that is most relevant to the intent of their search query. Google’s recent Hummingbird algorithm was the first big shift towards natural language, context and intent of a search query. By building low quality or irrelevant links to your site, you are essentially breaking Hummingbird’s ability to consider your site’s content as relevant to users. Aside from that, it will also decrease your site’s authority and put you at risk for receiving a penalty. By creating useful, quality content and amplifying it, you will build links naturally by influencing quality, relevant sites to link rather than building them artificially. This will help search engines better determine the relevance of your content. By now, you may be asking yourself, “What kind of content should I be creating?” The answer to that question depends heavily upon your vertical, audience and how your sales cycle works. The one known truth that applies across all companies is blog creation and management. In one of my previous posts, I mentioned how content marketing taps into the first two stages of the buying cycle – awareness and research; while your primary site content taps into the second two stages – consideration and buying. Every vertical has a sales cycle. Some sales cycles last 10 minutes while others last several months, depending on your vertical. Either way, blog content is effective for reaching customers in any vertical. If you aren’t sure which content marketing strategies will work for you, try asking your customers. Find out what content would have been helpful for them when making the decision to buy from your company. All of these content strategies will catch the attention of relevant sites that will be willing to share and link to your content. The final step to shifting from link building to content marketing is to amplify your content to reach relevant audiences and create an online dialogue. By now, you have all these nice pieces of content created. Leverage your social media following to get the word out that you have these awesome assets that everyone should check out. Don’t just share your content, but reach out to relevant publications and audiences using social networks. Influence people to start an online dialogue about your content. Viral campaigns are great for influencing people to link to your site. Make use of your email database to reach even larger, relevant audiences. Once a dialogue and buzz is created around your content, you’ll start to reap the benefits. People will want to promote your content and share it with their audiences. They will share it and link to it. Not only will your site receive more traffic and brand awareness, but the social signals from the online dialogue will send a signal to search engines that your content is high quality and that they should place higher value on it. 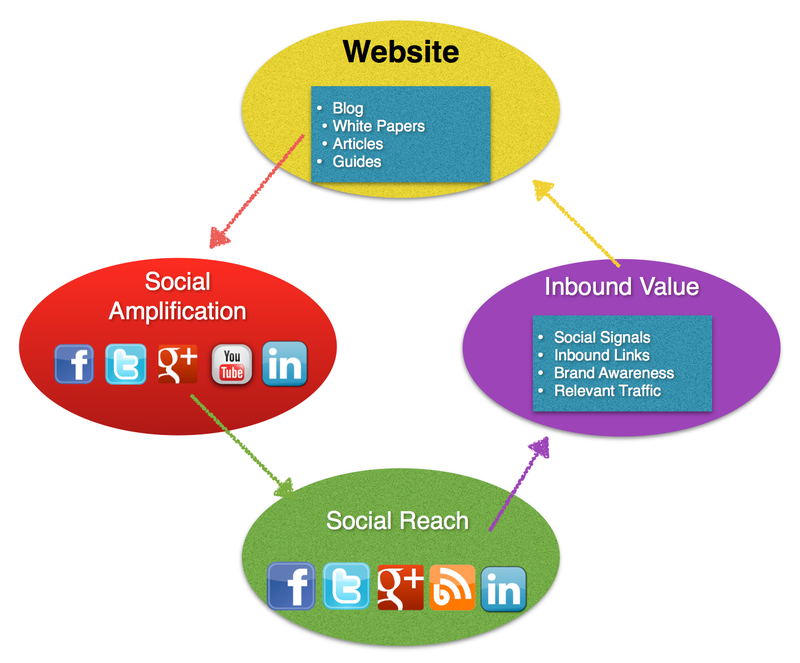 The inbound links will also build authority to your site and help build relevance. Are you looking for new ways to crank up your content marketing efforts and improve your SEO efforts? Learn about our content SEO & content marketing services here.